Hey guys! Hope everyone is having a great week! One thing I've always loved about this time of year were the back to school sales. 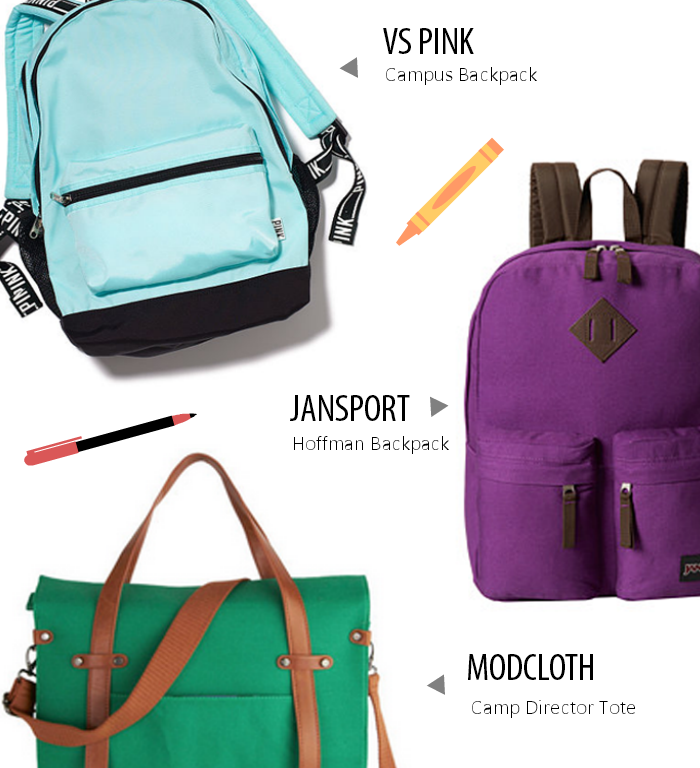 Mainly because I'm a stationary addict...but also because of all the new backpacks! I really gravitate towards dark totes and backpacks, and last year I decided to go out of the norm and purchase something colorful instead! I got a tote that was navy, orange and pink with an aztec design. To my surprise it turned out to be one of my favorite bags ever. It went well with so many outfits...especially the darker ones in Winter! Now I'm all for owning colorful totes and backpacks. If you've never tried one out yourself, I highly recommend you give it a shot! Here are some of my top choices out in stores right now. Some of the bags are a little more expensive, but splurging a little on them can be worth it. The pricier bags are made with better materials, and are likely to last longer. 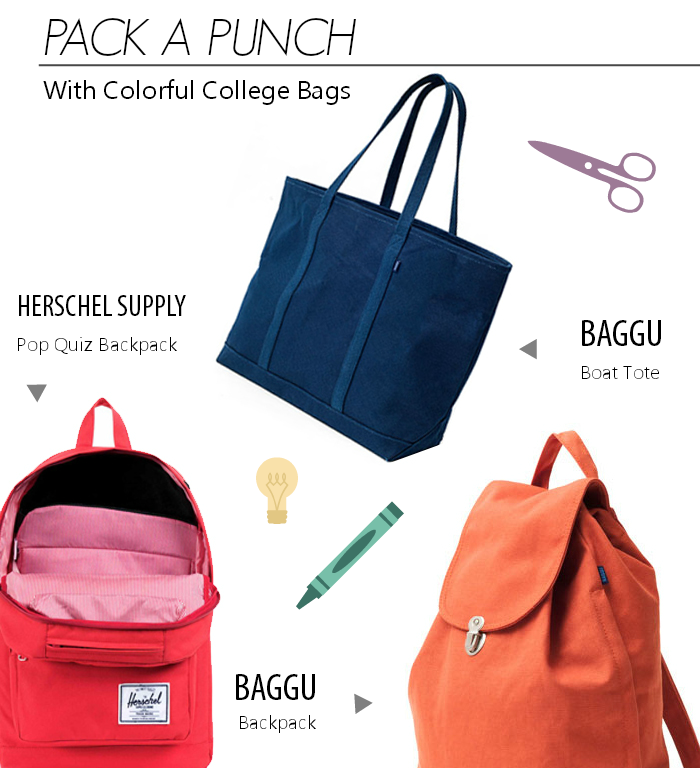 >>BAGGU backpacks are 40% off until August 19th with the code BACK2SCHOOL...making it only $16! BAGGU backpacks are 40% off until August 19th with the code BACK2SCHOOL...reducing the price to $16! ModCloth has free shipping on orders over $50. Zappos (selling the Jansport backpack) always has free shipping and returns. What color bag do you plan on wearing this semester? Let me know in the comments below! Don't forget to subscribe to my Bloglovin' page or follow me on Pinterest, Twitter or Instagram. As always, a big thanks to all of my followers. You guys are the best!